A great place to leave reviews. Some people don’t rate Amazon, a friend of mine has stopped buying from them due to their tax evasion policies… however, let’s face it, Amazon is a book lover’s paradise and they are, after all, the world’s number 1 book seller. So as indie authors we really are losing out if we don’t use them as at least one of the places we sell our books. The author’s dream is normally multi layered but I suspect, like me, that the biggest part of that dream is that readers would enjoy our stories. Some people only dream of holding their book in their hands and having that reality come true it therefore doesn’t matter that they only sold 50 copies – probably all to family, friends and work colleagues, but that’s OK because for them their dream is complete. There are a plethora of reasons why people sit down day after day and slave over producing a book, but honestly we’re fooling ourselves if we don’t acknowledge that we hope to sell lots of books and make an income from doing so. So here’s why I recommend putting your books on Amazon, putting them into kdp select (so that people can read them through kindle unlimited), and why advertising is so important. I might be the only crazy author around… although I doubt it, but when my first book went on Amazon I scrolled through 400 pages of sword and sorcery books trying to find my book. Needless to say I never found it. Now if I couldn’t find my book when I was looking for it how was anyone looking for a book in that genre going to find it? The average person will scroll through the first 10 pages of a certain genre trying to find a book, if they haven’t found it then they either give up or try searching through a different category. Our aim then as indie authors is to get our books onto the first 10 pages of our category/genre. This is hard if the only thing you do is put your book up for sale, because you are waiting to sell approx 75 within a day to get your book into the top 100 of your category, but hold on, once there you need to maintain 45-75 sales a day to stay within those top numbers. Now I wish that was happening to us author-preneurs but unfortunately unless your famous we have to work to get our books there. As it turns out making our book visible on Amazon isn’t that hard after all, hallelujah I hear your cry. To make our books visible we need to do only two things. Enrolling in kdp means that two things can happen, the first and the most important is that people who have bought into Amazon Unlimited can read your book for free – hey hey you cry, we’re supposed to be talking about making money – trust me, we are. Remember the fact from the last post? If your average monthly earnings are around $500 then at least $200 of that will be from KENP which basically is the number of pages that have been read through kindle unlimited. This is a great income, but there is something else to consider, and that is your ranking. The higher your ranking the further up the scale your book travels. Let me give you two examples from my books. a) One of my books was ranked 1,298,428, I had 1 sale and my ranking instantly ascended to 120,148. b) Another one of my books was ranked 1,108,847, I had one person rent it on kindle unlimited and my ranking instantly ascended to 161,020. So, the thing to take from this is as far as ranking goes – and we need to get as high as we can, then it is almost as valuable to have someone obtain a copy through kindle unlimited as it is through purchasing a copy. Create an Ad Campaign, honestly unless your famous or have thousands of friends willing to support you this is the only way you are going to obtain sales. I have attended seminars and read and researched the ways people can sell books. The biggest ‘seller’ seems to be having a mahoosive mailing list. If that’s what you want then go for it, good luck to you. But it’s not for me. I am hoping in time that as I bring out more books people who enjoyed them would be likely to buy another one from me, but I am patiently waiting for that list to build up organically, I don’t think having thousands of people on an email list just for the sake of it is the way to go, but I am fully aware this is just my opinion and you must make your own. There is a reason that advertising has been around for years and is not going anywhere. The most common way to learn about a product is through seeing an advert. Obviously, some adverts like the one above (although funny) just should not happen, however, on the whole advertising serves a purpose and if we stick within acceptable boundaries there is no reason why anyone would think our book adverts are derogatory. Now if you are like me and you’re on a budget you might say ‘this isn’t for me’ but hold on, before you go let me tell you that if Amazon Ad Campaigns are run correctly you should be making money and therefore getting all your advertising costs back. I think I should also mention here, I am an indie author and I am in no way connected to Amazon as in I am not an employee etc and there is no financial gain from Amazon to me for mentioning them. I am doing this blog solely because I wish to help and encourage other indie authors. Why are Christian books so expensive? I love a good book with a good story, and if that book happens to promote Christian morals and standards then I am doubly-happy. It is therefore, rather distressing that so many good books by Christian authors are priced out of my price-range. Who is it that set a kindle book at $8 – $15? Seriously, you can buy paperbacks for that amount of money in the UK. Other genres don’t have their books priced so high – does this mean that Christians are greedy and money grabbing, or just good business men and women? Bestselling authors set their prices really high, bleeding their readers dry because they know they will buy regardless of price. So, does that mean that every Christian author thinks they are a bestselling author? I can’t set my book at that price; I want as many people as possible to be able to read it, so currently mine is set at $3.99 probably going to $4.99 next year, which I think is a reasonable price for an e-book. And, 50% of my commission is being donated to Barnabas. Please let me know what your thoughts are in the comments below, would love to hear what other people think about it. I’m so excited to say that I will probably have the kindle of Grace in Mombasa up by Friday 23rd November – a whole week early! I’d like to share with you the two endorsements that I have had for the book. Tracy Traynor’s writing transports you from World War 1 and 2 England to the courts of heaven, via Mombasa. With characters which pop off the page and straight into your heart, this is a book you will remember for a long time. Wendy H Jones, author and member/webmaster of Association of Christian Writers. The story of Grace captures the experience of many others who, though quite ordinary by themselves, find that the love of God propels them towards quite extraordinary endeavours. Tracy is the author of Grace’s story but the inspiration was Moira Smith and the author of her story was none other than God himself, described in the Bible as the ‘author and finisher of our faith’. I commend Tracy’s book Grace in Mombasa to you in the hope that, inspired by the story of Grace and Moira, you will become hungry for a story of your own and that you will turn to the great author of all our lives. He already has a story prepared for you” Sean McIntyre, missionary with Barnabas and now minister to the Assembly of God Church in Colchester. When you’ve spent most of your life… and you’re 57 so that’s a pretty long time… thinking that you’re stupid and rubbish and an idiot, it can be hard to change. I do believe I’ve come a long way to getting over low self-esteem but then in times like this, that old nagging voice “you’re an idiot” returns to throw me into chaos. What is causing this sudden panic attack that I might not have changed after all? The release of my new book. Aha, you may say, really? that all? Unfortunately, yes. I have poured myself into my latest book ‘Grace in Mombasa’ and the fear of rejection is making me ill. I have to wonder why I put myself through it. Writing the story itself was quite fun and even relaxing, but then editing started and demanded sweat and tears from me in an effort to get it to a level that people could enjoy it. Then all the expense comes, professional editing for someone with dyslexia like me is crucial and must be paid for. Then there is advertising and promoting to be done. I’m sure my friends must be sick of hearing about my books. And now when I am waiting for the first reviews to come in, there is nothing left but feeling sick. Maybe I should give writing up and leave it to the more hardy people out there. I’ve got my fingers and toes crossed that people will enjoy Grace’s story, and until release date of the 1st Dec ’18 I am just trying to keep myself as busy as a bee and trying my hardest to switch off the anxious button! Good news, getting an article in the local newspaper about the story – also keeping my fingers crossed to have a feature on Christian Premier Radio. I am happy to say, that Grace in Mombasa is now with a professional editor being polished. The release date on Amazon will be Sat 1st December 2018. I’m so excited and can’t wait for people to read it and find out what they think. I have to begin by saying I think the book cover is great! If you want a picture to draw you into a story, this one certainly does. Its atmospheric black and white picture of a moonlit street simply shouts mystery and intrigue, a very good start for a detective novel! As the blurb tells you, Cass Claymore is a red-headed, motorbike riding, ex-ballerina who inherits her uncle’s detective agency. That alone was enough to tickle my interest buds and make me buy the book. And I wasn’t disappointed. From the get-go this tongue-in-cheek detective novel had me turning pages. I really enjoyed the ‘lightness’ not taking itself too seriously, tone of the author. The editing style also helped keep things crisp and easy to read and I found this very easy on the eye and relaxing to read. The story is well paced and has good structure. I instantly liked Cass Claymore and enjoyed the world-building that was created around her. But I simply fell in love with the dwarf Quill (as apparently all the women around him do). He’s a marvellous character, laid back, smooth talking and totally knows how to wind up Cass, just loved the conversations between the two, and have to say I do hope the author is planning a book two because I want to see more of them. The only, very slight, downside for me was the ending. It felt rushed, unlike the rest of the book which moves along at a lovely steady pace. One minute something is left on Cass’s doorstep and the next minute (it felt) it was all round-up and over. Who did leave the clue on the doorstep and why did they? That’s too much of an unknown to leave me completely satisfied with the ending of the book. That said, I totally enjoyed this book and found myself smiling in every chapter, and I would most definitely recommend you read it for yourself if you like murder-mysteries. To conclude: A great, tongue-in-cheek, light-hearted mystery. Highly recommend. As a Christian, I love it when I find a book full of morals. 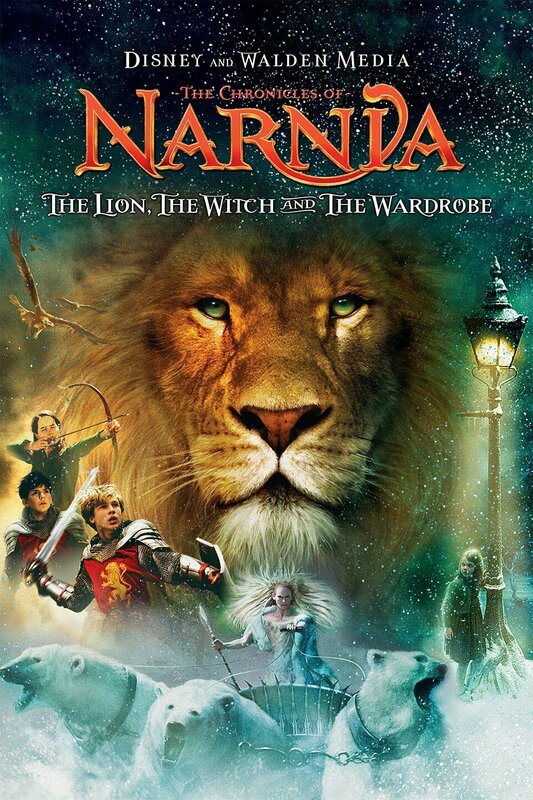 One of my all-time favorites is the Narnia series by C S Lewis. Clive Staples Lewis (1898–1963) was one of the intellectual giants of the twentieth century and arguably one of the most influential writers of his day. I love that Clive went through changes in his life, which include losing his Christian faith and then finding it again later in life. A true prodigal son story. He wrote quite a few books but I think the world’s favorite must be The Lion, The Witch & The Wardrobe. I adore when a story has hidden beliefs and principles for life behind the writing. My own series Born to Be, is exactly that. I was once told that my story was too innocent to get anywhere, says a lot about the world we live in doesn’t it? I was, therefore, over the moon to read The Innkeeper’s Son by K C Herbal, and discover a beautifully written, traditional fantasy packed with caring and sensitive characters. Woven together in a magical story of dragons and fairies and magic. I loved it and highly recommend it. Very pleased to find there is already four in the series and I look forward to reading the rest. Are book promotions value for money? I decided to pay to advertise my book with Onlinebookclub.org. I paid $598.00 for their Book of the Day deal. In the days running up, I began watching the rankings of other books that were the ‘book of the day’. I was quite excited to see a few of them rise quite high in their category sections. For example: ‘The Buried Secrets of Peonies’ by Mernegar Dorgoly rose to #7 in kindle short stories, and, ‘A second, less Capable, Head’ by James Hanna rose to #14 in kindle anthologies. I was quite excited then and anticipated a number of sales that would also help my rankings. I was to be hugely disappointed when I only sold 14 books. My books normally sell for $2.99 and for this deal I’d reduced the book to $0.99 to encourage sales. Total income $4.90, a loss of $593.10. I do feel I’m like a typical sensitive-author, I think I should nickname myself Sea-Saw-Tracy, because I am constantly up and down. Harsh remarks though cut deep, this book is after all ‘my baby’ and I have been working on it for 25 years. I confess I haven’t yet managed to grow a thick skin. It took my youngest (always positive) son, Daniel, to put things in perspective. I received 170 comments, of which nearly all of them were positive and encouraging. Lots of people said they added the book to their ‘want to read’ list. Time will tell if they actually read it. If you want, please feel free to check out the comments below. So maybe young adult fantasy isn’t a genre that’s really popular? Or maybe my book just isn’t up to scratch? Perhaps if you have a romance, thriller or short stories, then you’ll do loads better than I did. Will I be booking another deal? Definitely not. Should you book a deal? I think it depends on a few things: Is your book in a popular genre? Do you have a gripping first three chapters? Does your book cover jump up and grab people’s attention? Do you have an intriguing blurb? …and most importantly, do you have $598.00 to spare? If the answer to all these questions is yes, then go for it, because obviously some books do really well on these deals.